It’s moving day! You have finished everything, from packing to loading the boxes onto the truck, signing that contract deal, and traveling to your new home. A thought comes to mind while moving to Miami. “How will I unpack everything?” This is when some unpacking tips may come in handy. 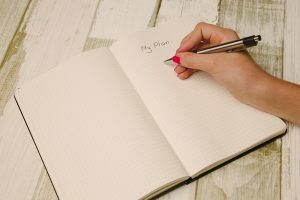 Remember that it is your new home, so you have to plan everything out. The main thing is to be, and to stay organized. No organization can lead to panic, and panicking is one of the worst things that can happen, not only during your move but also during everyday life. In this article, we will talk about some unpacking tips, and how to stay organized during the unpacking process. 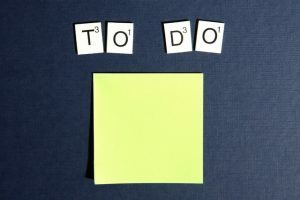 You will need to make a to-do list prior to your move, and include unpacking. By including unpacking in the list, you are one step closer to actually doing it. Other than that you will need to plan every room out, and you should not rush things. If you rush things, you may end up with many boxes unpacked and no plan for setting your rooms up. You also have to make sure you have time to do the unpacking. If you have small children that need constant care, consider hiring a babysitter. This way you can focus on unpacking and planning your new home. Be sure that you know which room you will unpack first and stick to your schedule. Before your move, you should pack boxes with essentials and label them accordingly. When you have essential-labeled boxes you will make unpacking a lot easier. This is because you will not have to search for the things you need that night when you arrive at your new home. Things like toothbrushes and soap will come in handy at the moment you get to the new house. If you arrive late, you should unpack only the beds and linens, and your essentials boxes. Having a good night rest after the tough moving day will make your next day a joyous occasion. When the next day comes, make sure to stick to the plan you made. You should go room by room. Divide the chores between family members, and let everyone make their own place in the new home. It is very important to let your children unpack by themselves so they can arrange everything in their room in a way that will make them feel at home. Moving to a new location can be a stressful event for children and this one is a must. By going room by room you will make the task look a lot less daunting when compared to unpacking the whole house. If you hired a professional company to do the packing services, you will need to tell them to mark everything as you wish. By having marked boxes, for example, by room, the job will be much easier. Maybe the most important room for sustaining the family life is the kitchen. When you unpack your kitchen first, you will not have to spend a lot of money on food delivery. The kitchen is maybe the hardest room to unpack, due to many small items and a lot of fragile glassware and plates. Make sure to take your time and do not rush things. See which kitchen appliances you need most, and hook them up first. During the next few days, you will know where can which appliance be put to maximize spatial efficiency. Unpacking your beds is an important step in the whole unpacking process. This way you will have a place to lie down and rest, and sleep through the night. A good advice is to pack the bedding in separate see-through bags so you can know which bag contains which bedding. This way you can align every bed with the correct bedding without having to cycle through each box and bag to find it. The next thing you should do after assembling your beds is fill up the closets. If you really do not want to do it now and vow to do it tomorrow, you should probably do it now, because postponing stuff like this can make you not do it for a long time. This can be done at the same time as when you are unpacking your kitchen. You just need to divide rooms by family member and do it efficiently. When one family member is unpacking the kitchen, the other should unpack the living room. This room is important because you will have a place to wind down after a hard moving day. Take your TV set and other media equipment and set them up. You should also put paintings and other aesthetically pleasing items before you unpack any furniture. This will make the place feel more like home and you will settle down easier, and also make room planning a breeze. You can invent an unpacking a game. Challenge your family members, and make unpacking a race. Divide everyone by room, and who unpacks the fastest is the winner. Try to think of a prize as well. However, if you have a lot of fragile or dangerous items, you should not make a game like this. Instead, consider treating yourself with a sweet every time you unpack a box. 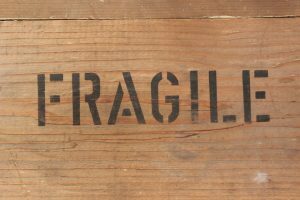 Be careful if you have a lot of fragile inventory. Moving is a hard endeavor and it is vital that you keep your calm during the process. Unpacking is probably the most difficult task during the move. However, you will make the process look a lot less dreadful if you make a good plan and stick to it. Creating a fun and stable unpacking environment will make the job feel like a walk in the park.